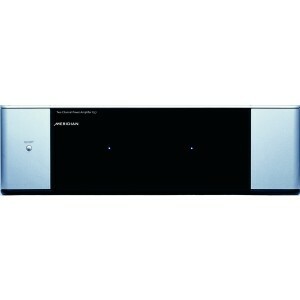 Meridian G57 2 Channel Power Amplifier is designed to match other G Series components, it features a luxurious bead blasted metal exterior with glass accents. Two channels of 200 watts of clean power provide breathtaking performance from any passive loudspeaker. Like the G55 multi-channel amplifier, G57 is based on innovations in amplifier design first introduced in Meridian’s flagship DSP8000 Loudspeaker. G57 is equally at home partnering with 800 or G Series. When combined with G55 and a Meridian Surround Controller, the G57 becomes an integral part of a 7.1 analogue theatre system. While providing 200 watts per channel, the G57 can be bridged to provide a staggering 1,000 watts of mono power. This allows a system to grow from a single G57 in stereo, to a pair in mono for a reference level amplifier combination. Meridian’s “Super Balanced” operation internally balances even single ended signals for the best sound quality. The G57 contains two amplifier modules, featuring a symmetrical design with fully electronically balanced inputs. Meridian employs a soft start circuit that eliminates any turn on and turn off “thumps.” Both balanced and unbalanced inputs are provided, with the unbalanced inputs converted to balanced before entering the amplifier itself. This “Super Balanced” design provides the highest quality music, while keeping noise at a minimum. All of this produces one of the most musical amplifiers available. Special attention has been paid to ensuring that the amplifiers can deliver the power that is required at any given moment. Massive twin low-noise toroidal power transformers provide power to no less than four selected pairs of output devices fed by four audiophile-grade smoothing capacitors per channel. Each channel is carefully temperature-controlled for optimum operating characteristics and efficiency. The result is a clear, open sound with deep controlled bass. Sharing many common design parameters developed for the power amplifiers in Meridian’s flagship DSP8000 Digital Loudspeaker systems, G57 is designed to provide the best performance with any passive loudspeaker. These innovations include a unique, ultra-low-feedback design and capacitor-free signal path. These combine to provide incredible control and speed for fast tight bass and outstanding sound quality from a passive loudspeaker. 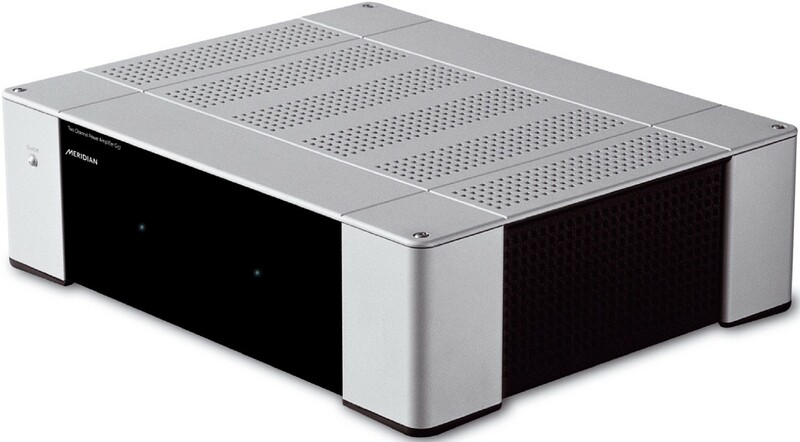 Two discrete 200-watt mono amplifiers ensure maximum channel separation perfect for high performance stereo systems. Meridian “Super Balanced” technology provides balanced operation from single ended connections, providing more music with less noise. Standby mode maintains voltage rails eliminating “warm up” time for instant, optimum sound quality.